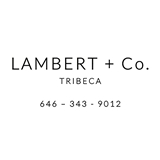 LAMBERT + Co. Dentistry (New York) - Book Appointment Online! LAMBERT + Co. has a whole menu of services. We focus on Holistic, Preventative, Cosmetic, and Stress-Free Dentistry for Everyone. Some of our unique services: 1. Clear Aligners 2. No-Drill Veneers 3. Metal Free Porcelain Crowns We can accept Aetna (PPO), Cigna (PPO), and Out of Network (PPO Only). Please call our office if you need assistance in determining your insurance coverage or need help choosing a plan. We are here to help! Cancellation policy: appointment changes within 48 hours are subject to our cancellation policy fee. See you soon!